If you are familiar with Ann Voskamp, you’ll know that this wonder mama has seven children and is a wife of a farmer. She is the author of New York Times bestsellers, One Thousand Gifts and The Greatest Gift. This lady knows her stuff. In The Broken Way she shares stories and reflections on how to deal with your “unspoken broken”. We’ve all been there – in a pit of hopelessness when life does not shape up quite like we imagined. She poses the questions: Whats the answer to suffering, to the brokenness of all our hearts? How do we reach a point of wholeness, after heartbreak? 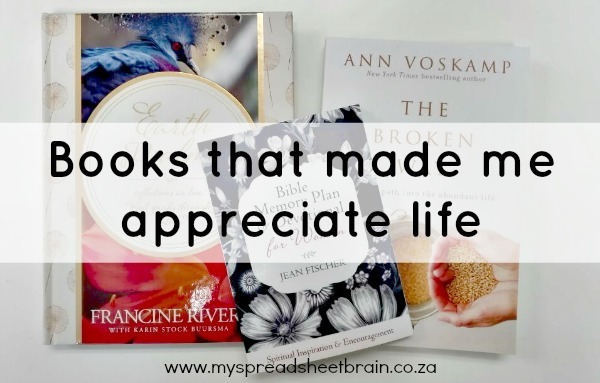 I find Ann’s writing to be refreshing and thought-provoking and it would simply make my day to know that I can give this gift to one of my readers! I love Francine Rivers! Her story telling prowess captures you in a such a way that you can’t help but feel changed after reading one of her books. Earth Psalms is a devotional, focused on how God speaks through nature. The book, featuring Karin Stock Buursma, is filled with beautiful imagery. These breathtaking photos complement the insightful observations that Francine shares; powerful reflections gathered over a lifetime of exploring. This would make the perfect Mothers Day gift! If you’re looking to start your day off right, consider adding this handbag sized devotional to your morning routine. It is a convenient little guidebook filled with inspiring devotional readings, practical memory tips and reading suggestions. When I first started paging through the devotional, its table of contents immediately drew my attention. It was filled with everyday things that us, as women, go through! BIG things. Things that need the power of prayer to see it through. Things like worry, friendship, forgiveness, motherhood, courage and surrender. This little book has been a blessing and I hope it will be soul food to you too! 2. Leave a comment below letting me know which of these books have captured your attention. I’ll announce the winner on my Facebook page next Wednesday, March 22nd. 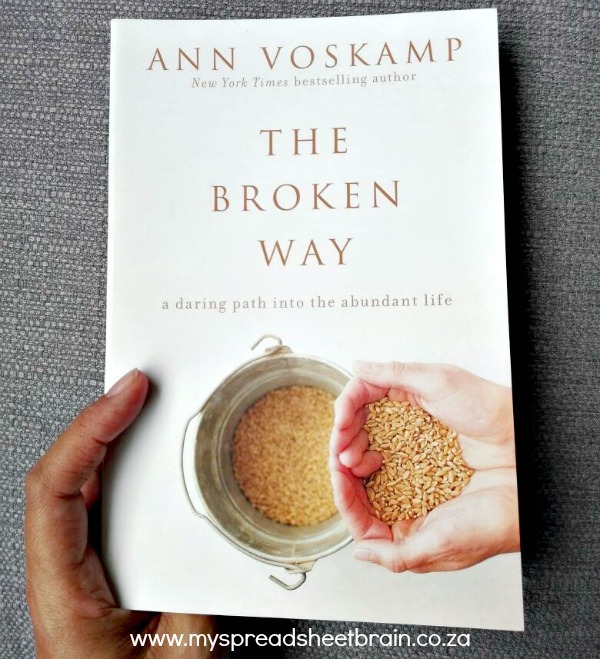 The broken way by Ann Voskamp and Earth Psalms by Francine Rivers!!!! Bible Memory Plan & Devotional (for Women) by Jean Fischer. I was baptized last week with my twin sister and their baby daughter. Since then I try every day to start off with talking to God and throughout the day as well. It is not an easy road but I realised I need inspiration and guidance. I’m going through a tough divorce and am struggling to find a way…. 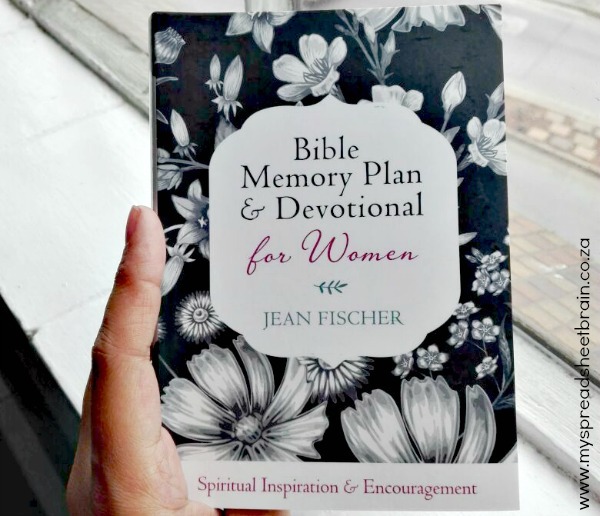 Bible Memory Plan and Devotional (for Women) by Jean Fischer sounds great and just what I need to add to my morning routine. I would love and appreciate this book as a mommy with a precious daughter whom I raising on my own as my hubby passed on tragically at a young age , it’s heartbreaking and I’m a broken person finding it difficult to pick up the pieces . 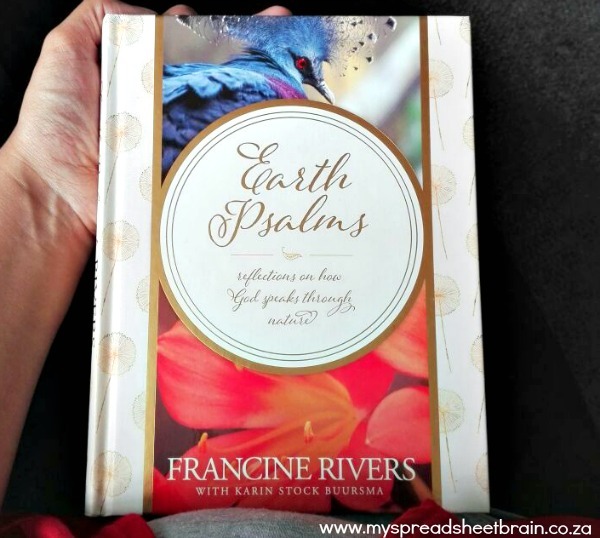 Earth Psalms by Francine Rivers. I really love nature and beautiful photographs as well. Would make a perfect table book for friends and family to look at and enjoy with me when they come visit.